I presented this at a conference last semester in Erie & everyone loved it. I cried writing it. It’s polished but it’s still a draft. I need to go back dig deeper & analyze some of the things that I just touched the surface upon. I’m not good with my feelings & writing helps me express them. I rarely write non fiction but one of my professors wants me to write about myself so I think I shall continue exploring my own life. Enjoy…. “No!” I wailed as I stood in my mother’s kitchen. My mother wanted to push me out of the door, as I stood, bundled up in my big, shiny, black coat, and ponytails, done perfectly. I didn’t feel perfect, though. And I hated going to school, but I loved to learn. Kindergarten was not easy. . I hated the people there. “They’re mean! Everyone calls me ugly. They call me names!” I whined,jumping up and down staring at my mother. “No!” I begged her not to send me to school. She shook her head from side to side and stared down at my tear stained chocolate cheeks. “Well don’t listen to them. I think you’re beautiful, “she tried to cheer me up. Staring in her almond-shaped, dark brown eyes, I couldn’t believe her.She’s just saying that because she’s has to, she’s my mother. I told myself as I folded my arms across my chest and stared down at the tiled floor. “Wipe your eyes honey and just go get on the bus. Try to have a great day,” she said,handing me a paper towel and pushing me out of the door. Blacky, Charnight, Burnt, these were the names they called me leaving emotional scars and struggles for years to come. It didn’t matter that my mom called me beautiful. I couldn’t understand. My classmates were black too. I remember when I would shower sometimes I would scrub my skin hard, hoping to lighten it,hoping that I would look like everybody else and no one would pick with me anymore. That was the solution to my problem. To be like everyone else. “You the darkest thing I ever seen…Midnight!” I remember a guy screaming at me. Idon’t remember his face, but I’ll forever remember his insult. I felt empty inside when people called me these names. I wished I could stop from hearing; I wanted claw my ears off. “Please don’t pull my hair. Gimmie my shoe back. Don’t do that!,” I stared screamed as I stared at one of my many childhood bullies. She towered over meas we stood at the bus stop. “What you goin’ do about it? You goin’ hit me Blacky? I’m afraid of you,” She teased, stepping closer to me as she held my shoe in her hand. “I thought so,”she yelled staring around at the crowd she had attracted. “Leave me alone! Give me,” I started and she laughed as if she had practiced her evil laugh in her spare time. “Here” she held out my shoe in front of me before quickly pulling it away and tossing it in the street. “Go fetch it,” She screamed folding her arms across her chest and everyone screamed “Ohh!” If I were deaf were deaf, maybe it wouldn’t hurt as much, but I wasn’t and I heard; I heard it throughout my days in elementary school. “Fight! Fight! Fight!” Many of my peers gathered around us chanted, as once again I was the target of teasing. By second grade, I was tired, hollow, and my grades weren’t as great as they use to be. “Fight!” The young girl stepped in my face and fear filled my body. I had never been in a fight before and I really didn’t want this girl to hit me. I was short and thin and I knew if she pushed me there was no doubt, I was going to hit the ground. I was tired of being a walking target all the time. My hands grasped the strap of my little plastic purple purse as this girl stared me down. I wanted to stand up for myself. No more, I shouted, silently. .
“Ohh!” everyone screamed as I quickly swung my purse, hitting her in the face.She rose like a mighty force and pushed me. I fell back down, but I didn’t care. I had stood up to her and she knew it. “I’m sorry we have to suspend her,” the principal informed my mother as I sat next to her in his office. My eyes wandered and I showed no emotion. I didn’t care anymore for what I had done. I was empty. Everyone had taken all that I had. “But she’s a good kid,” my mother argued, standing up for me. “She hit another student in the face,.,” the principal spoke sternly and I stared up at the ceiling as I sat on my cold hands trying to keep them warm. The principal nodded his head up and down informing my mother that he was listening, but I don’t think he cared. “You have no proof. Your daughter is actually the bully.” That wasn’t the whole truth. He left out the times leading up to my purse thrashing. When you reach the state of emptiness, you no longer care about yourself and you disregard other people. “My daughter is not a bully. You have no idea what you’re talking about,” She said to defend me. I loved her for that. Sitting in that office that day I vowed that I would no longer be everyone’s target and it is an understatement to say that I wasn’t. A year or two later, I heard: “Sit here and write what you will do to change your behavior.” I smiled as I took a seat at the desk that sat in the hallway for students who didn’t know how to behave. Staring at the “Time Out” sheet, I shook my head from side to side. I could’ve written something on that sheet as my plan of action, but I chose not to. Not today. Not most of time. Some teachers didn’t let me get away with leaving it empty, but others did. “Why would you throw away another student’s lunch? She paid for that.” I laughed as I recalled an earlier incident. I was sitting in the cafeteria playing with my lunch and I noticed the girl sitting alone at the other end of the cafeteria. After throwing away my awful meal, I walked over to her, grabbed her tray, and tossed it in the trash for no reason. I cringe as I look back at what I had done that day, but as a child, I loved it. Seeing other people happy made me upset in elementary school so I did everything I could to make other people unhappy. “Your daughter attempted to throw a chair at the teacher. Your daughter is disruptive and disrespectful. Your daughter talks excessively. She’s really smart but you’re daughter’s a bully.” I remember all those things the teachers said about me. They all were all were true statements, true reflections of who I had become. 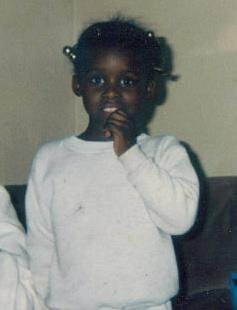 I had transformed from a bright, giggly, young girl to an empty, dark skinned girl who thrived off people’s emptiness. I had stooped to the level of the people who had pushed me so low. I now am 23 years old. I am proud that I can stand now claim that I have changed again and this time, for the good. Looking back, I hope those people who I bullied didn’t have to go through the emotional self healing that I had. I hope they still don’t cringe at the names I used to call them. And for me, I hope when I have a little girl, she has my skin complexion and that she’ll never have to struggle with her chocolate skin.She’ll smile, proud of her skin, the same color that her mother, and her mother’s mother, with time and experience, learned to grow into.